Identifying your areas of strengths and skills can be difficult as a career changer. If you have little to no classroom experience, you may be wondering how to find them. An excellent way to determine your areas of expertise (or areas of knowledge if you prefer not to call yourself an “expert”) is to examine the different topics you covered while completing your schooling in education. Reflect on your classroom observations or practicum experiences to identify the teaching skills you really strengthened or topics you excelled in. As a career changer, if you find it hard to come up with education-related skills, this last group could have easily been experienced (and perfected) at one or more of your other positions in your past career. Regardless of the areas you wish to include, make certain they are relevant to the grade level you wish to teach. For instance, if you are hoping to be a high school chemistry teacher, then you will want to discuss hands-on experiments instead of guided reading. If you are applying to be an early childhood educator, you will include cooperative learning or socialization skills instead of career preparation. 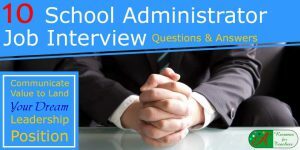 Once you have determined your areas of knowledge or relevant skills, you will want to highlight them in your resume, cover letter, philosophy of education statement, and follow-up thank you letter, as well as during your interview. 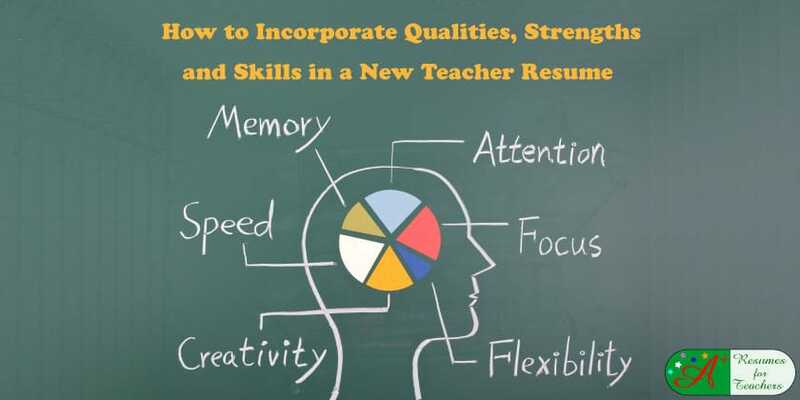 In your resume, you will have an entirely separate section devoted to these special skills, and the header will read “Areas of Expertise” – or “Knowledge” depending on your own particular level of familiarity with them. Arrange your topics in bullet point format in two separate columns to draw the reader’s eye. If you want to include more than ten points, you may wish to arrange them in a horizontal list, spread across three lines, with markers such as • or ~ in between them. 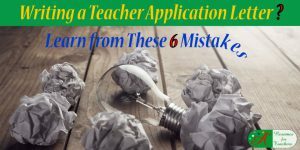 Either format will make these words pop and let the reader know right away you have what it takes to be an outstanding new teacher. 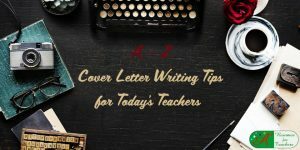 In your career change cover letter, you need to be subtler about how you present these various topics. Do not list them or use bullet points that only list the skills, but instead explain how you use these skills or traits to enhance the learning process. In full-sentence format, include three or four lines about your areas of expertise. 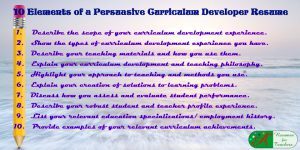 • I encourage student learning by developing and implementing exciting lesson plans that convey the information in a meaningful and relatable manner. Besides skills and job responsibilities, there are personal traits that all school districts look for in their teachers and support staff. Being a good educator not only teaches a student the core subjects they help the student develop academically and socially. 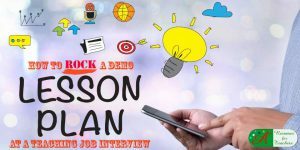 If you are to make the shortlist for job interviews, you must be able to demonstrate you are far more than just “good”. Show potential school district representatives you are an incredible person and would be a true asset to their school or district. One such quality you must be able to demonstrate is a passion for teaching and learning. If students see that you are excited about learning, they will be too. Remaining enthusiastic and keeping the drive to educate alive, you will always find your job meaningful and rewarding. Another teaching trait that is sought after by administrators is supportiveness. Each student is unique and comes with their own goals, needs, learning style, talents, and issues. It is your responsibility to get to know your students as best you can to accommodate them appropriately. It’s crucial to let your students know you are there to support them and help them any way you can. Creativity is highly desired by potential employers. If you can spice up your lectures, incorporate exciting complementary resources and activities, and find other innovative ways to reach out to students, you will gain an edge over your competition. Dry lectures are a thing of the past. Teachers need to be able to facilitate auditory, visual, tactile, and kinesthetic learners – types that can vary by grade level. 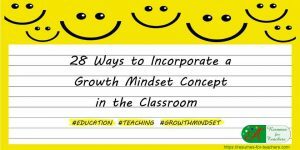 Utilize your creativity to bring the classroom to life and keep students actively engaged in the learning process. A goal-driven nature is another quality you should possess. This trait goes hand-in-hand with enthusiasm. If you are already eager to help your students learn, then set the bar high and help them achieve greatness in your classroom. Your goal should be to ensure no student gets left behind and each person reaches their potential. Set goals for yourself as a teacher, as well as your classroom. Encourage students to participate in goal setting and achievement. Cooperation is highly desired as well. As an educator, you will be working with a very diverse population, which includes the students, staff, and parents. It’s important that you understand how to communicate and get along with others, regardless of personality type. Convey a willingness to cooperate with others in the school population, listen to their thoughts and concerns, and collaborate to come up with effective solutions. 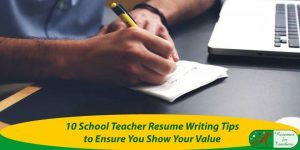 By deliberately incorporating qualities in your resume and cover letter you will surely pique the reader’s interest and gain a better edge for landing a teaching interview. When you do receive that call for the interview, remember it is these above qualities that helped you get there. 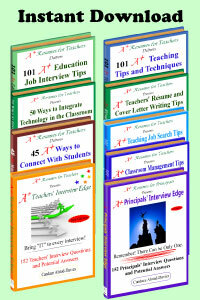 Reiterate them during your interview, and work to keep these traits strong during your new profession as an educator. 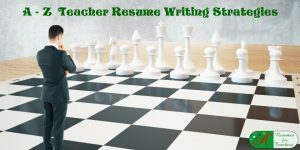 If you need help writing a resume and cover letter reach out for help. 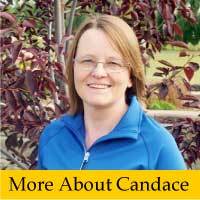 Email Candace or call toll-free 1 877 738 8052. Check out the services we offer or the resume samples on our website.